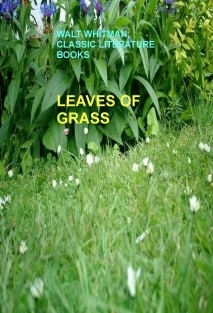 Leaves of Grass is a poetry collection by the American poet Walt Whitman (18191892). Though the first edition was published in 1855, Whitman spent his entire life writing Leaves of Grass, revising it in several editions until his death. Among the poems in the collection are "Song of Myself", "I Sing the Body Electric", "Out of the Cradle Endlessly Rocking", and in later editions, Whitman's elegy to the assassinated President Abraham Lincoln, "When Lilacs Last in the Dooryard Bloom'd".